Here's a piece of objective reporting. It concerns a hospital that I regard with open distaste and the coverage of a scandal there by a newspaper for which I used to work as health correspondent (long before this hospital was built). To tie things up neatly, I sat for seven hours at the bedside of the paper's former editor as he breathed his last in that hospital. My sister and a close friend also died there, within a week of each other, a couple of Christmases ago. Would any of them have lived had they been treated somewhere else? To be honest, probably not - and certainly not for long. They were all victims of injudicious lifestyles. But you notice little things when you're visiting someone in hospital and casting your eyes around as you try to think of something to talk about. Little things like the cleaner who uses the same cloth to wipe spills from the floor and the patients' tray tables. And the fact that she doesn't move anything on those trays as she wipes around, but not under, the glass of water, the orange juice carton, the book. Little things like the unthinking grimness of the 'bereavement suite', where people are taken to deal with the fact that a loved one has just died - a gloomy cavern with a dull grey carpet and upright chairs pushed to the wall that had all the charm of a basement nightclub in Ibiza at midday. The police are called in after your local hospital is found to have tampered with records to make it appear that it was meeting government targets - and may in the process have put cancer patients in danger or even killed them. 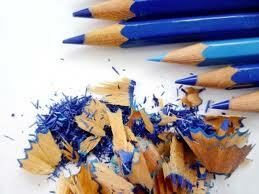 The story breaks when your paper is on the streets and there's no going back. It leads the radio news bulletins all afternoon and the television news in the evening. It's all over the national front pages the next day. What to do? Get it up on the web as fast as possible and splash on it in the next day's print edition of course. But what else? The timing of the cancer scandal at Colchester General wasn't helpful for the Daily Gazette. It was by far the most important issue of the day, but by the time the paper appeared on Wednesday, most people knew about it. What most people didn't know was that Elton John was to play a gig at the town's football stadium. For a town like Colchester that's a big deal, and on any other day it would have breezed into the splash slot. In fact, it did on the web, which had covered the hospital through the previous day. The 'most read' panel vindicated the approach, with Elton at the top and the hospital well down. The hospital coverage online was hit and miss. The intro was wrong/out of date and was never changed. Instead there was a stream of updates tagged on to the bottom. How many people would see them? At the same time, bizarrely, a more coherent Press Association version appeared under the 'national' tag. The paper has a policy of 'web first, newspaper best', which means paying customers get analysis and background that is not published online. It also uses the web to direct readers to the 'full version' in print, which is quite a smart marketing ploy. But it does seem strange when the best rendition of a local story comes from a London news agency. For Wednesday's print edition, the priorities were clear: a textless splash on the hospital and a clean puff on the stadium gig. Inside, Elton was given the 2-3 spread before the paper got its teeth into the hospital on pages 4-7.
was buried on page 7. What was needed was a coherent write-through covering the most important points and then some case studies, background, factboxes. The paper did use breakouts - a patient whose treatment was delayed by more than four months, the hotline for concerned families. Another pointed out that the 61 records examined by the Care Quality Commission were 'a small sample' from those relating to patients treated since the end of 2011. Sir Mike Richards, the chief inspector, said that the trust treats 6,000 cancer patients a year. The CQC's inspections were carried out in June, so it looked at records covering 18 months. If 22 of the 61 sample records 'showed inconsistencies' - just over a third - does that mean more than a third of all cases may have been affected? Could 3,000 patients or more have been put at risk? It's an extreme extrapolation, but the question needed to be put. It is natural to turn to the local paper when a story about your town or people you know hits the national headlines. Its big advantages over the nationals are - or should be - context and contacts. With an active news story such as a bank robbery or a murder, it is relatively simple. A slow-burning hospital scandal is trickier. There is a greater responsibility to inform without being alarmist. Every one of your readers may one day need hospital treatment, and if they do, they are unlikely to have any choice about where they receive it. It's not just another bit of 'health service shambles', another row about bureaucracy and the tyranny of targets. It could, for every reader, be a matter of life of death. That is why it is so important to bring out the background knowledge that comes with covering the patch day in day out. 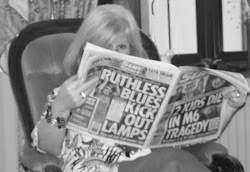 'Before this scandal, the Gazette had been giving really thorough coverage to the hospital, often telling the story through patients’ experiences. We also highlight the good stuff. For example, we support the hospital’s staff awards scheme and we have a weekly slot in the Your Life supplement highlighting a key member of staff at the hospital. This is exactly right. Looking back over the paper's archives for the past five years, it is alarming to see how when things go wrong, officials invariably respond with trite statements about how disappointed they are about the patient's concern. The IT system, the snow, a flu epidemic or whatever was to blame and everything is now improving. And plenty has gone wrong. Colchester General has been put in special measures before because of its high death rate, the trust's last chairman was removed because of the hospital's poor performance, it has failed to meet cancer treatment targets month after month (which may explain the tampering with figures last year), and it was yet another investigation into the number of deaths there that led to the CQC inspections this summer. It has paid out more than £7m in damages to 58 patients over the past three years. It would have been helpful if the Gazette had put together a timeline of the hospital's ups and downs - it would have filled an entire page - as well as a panel on the cast of characters and the various authorities overseeing the hospital's activities. It is also worth remembering that this scandal is a by-product of an investigation sparked by high mortality rates. Cancer patients tend not to die in hospital, especially as the town has a respected hospice. The paper could usefully approach the hospice director for further insight into local cancer services and treatment. By yesterday, the Gazette was starting to ask awkward questions - such as when those in charge were told about what had been happening. Again the front was diluted - this time by a charming picture story about a girl who woke up to find a fox in her bed - but the paper began to play to its strengths on the three pages inside, including a story about a patient who told a public meeting organised during the CQC's June inspection that he had heard rumours that waiting lists were being manipulated. His own prostate surgery had been delayed for four months. Today's paper has a good clean front and two spreads inside. It reflects doctors' concerns that the scandal will deter patients from keeping appointments and notes that the head of cancer services has disappeared. It also has brief interviews with another two cancer patients unhappy about their treatment. I'd still like to have seen more background - this hospital is the oncology centre not just for the town, but for a wide surrounding area, serving hundreds of thousands of people. A bit of the history about how cancer clinics elsewhere were closed and Colchester nominated as the central 'provider' would have been helpful. For example, were enough resources put into the centralisation? More people can be expected to come forward with their stories and in the meantime, the cuttings file and web comment threads are rich seams that should be mined to good effect. The MPs Sir Bob Russell and Bernard Jenkin could also bear some examination. Jenkin and the Health Secretary Jeremy Hunt have been at pains to say how much faith they have in the trust's chief executive Gordon Coutts, above. 'The best I've known in 21 years as an MP', Jenkin says. What makes them so chummy? 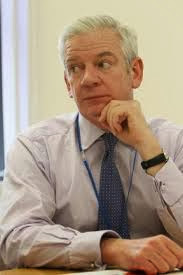 When Sir Bruce Keogh announced on Wednesday February 6 that the hospital and its sister the Essex County were to be investigated over their high mortality rates, the MPs hastened to Coutts's office first thing Friday morning and emerged to say that they had been reassured. It is not clear on what basis Russell, below, assumed that 99.9% of the hospital staff are in the clear. It seems unlikely. He also made great play of the fact that 'only' 30 records - eight were not of clinical concern - had been passed for closer scrutiny. But, as we have seen above, these were a sample. Nobody at the hospital is daring to suggest that there were 'only' 30 cases. 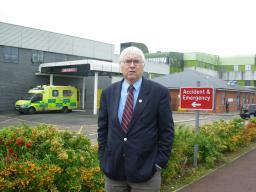 Sir Bob Russell says Colchester Hospital is serving the town well. As I said earlier: context. Trying to discover exactly how good or bad Colchester is in comparison with other hospitals is fraught. On some measures it is classed as 'excellent' - good enough, indeed, to be granted foundation status in 2008 - on others it is 'fair' or 'failing'. Ok, so a hospital can be great on money and rubbish on treatment. But it isn't as simple as that. There have been so many assessments and adjudications that - rather like house price surveys - it's almost a case of take your pick. There's Dr Foster, there's CQC, there's Monitor, to name but three. Then there are local organisations: councils' environmental departments, the district and area health authorities. One gives the hospital top marks for cleanliness and hygiene, another finds fault in every kitchen inspected. One says 'congratulations for beating MRSA', another says 'this is one of the worst in the country for infections'. 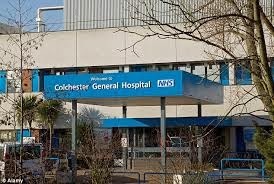 But if people in the town really want cheering up, they could try the Findthebest website, updated two weeks ago, which says that Colchester is one of the best hospitals in the nation and that its 'stellar mortality rate' of -17.22% 'is a cause for celebration among staff and patients'. One statistic does stand out. The 2012 National NHS Staff Survey found that 21% of Colchester respondents had experienced physical violence from patients or their families in the past year. Put another way, that means that more than a fifth of hospital staff had been slapped, punched, kicked, scratched or attacked in some other way by people they were trying to help. Only one hospital had a worse record - Hinchingbrooke in Huntingdonshire. As a reader of the Gazette's website pointed out, there are nightmare patients as well as nightmare nurses. On top of that, 33% of the 300-odd people from the hospital who took part in the survey said they had been harassed or bullied by patients and 25% had been bullied by staff. So far, so depressing, but the most frightening feature of this survey comes in the section dealing with 'harmful errors' and 'near misses'. Here, Colchester fell in the 'average' bracket with 32% of staff respondents - 103 - saying they had witnessed such incidents in the previous month. Just to reiterate, it is the 'norm' for a third of staff in an NHS hospital to see someone making a mistake that might kill a patient or make them more ill. So how far out of line is Colchester on other measures? 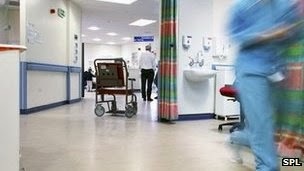 The CQC's inpatient survey for last year, which seeks the views of people who have stayed in hospital for one night or more, says that patients rated it at 7.9 out of 10 for quality of care. 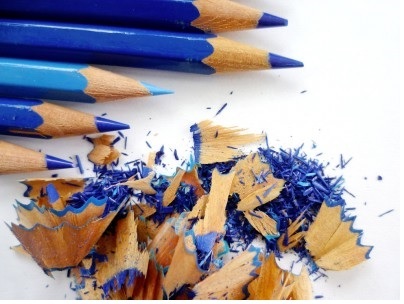 On every measure it was judged to be 'about the same' as other trusts - and that included scores of around 2 out of 10 for complaints procedures and communication. This scandal is a huge worry for the people of Colchester and surrounding areas, but it has thrown up contradictory statistics, measures and standards from a variety of authorities that deserve thorough investigation by all health correspondents. The big story this week has been that two women told their boss that they were being pressed into fiddling patient records. They were ignored. They emailed executives and got no reply. And when the Keogh review prompted the CQC to visit the hospital, they and a colleague took their opportunity and spoke up for a third time. Their persistence led to a police investigation and further scrutiny of the hospital's practices. The big challenge next week should be to try to discover how many other hospitals have been using other or similar ruses to mask failures to meet targets. These aren't arbitrary 'you must be seen with your ingrowing toenail within 18 weeks' targets. There is a reason for the rules that say cancer treatment should start within 62 days of diagnosis. Because if it doesn't, the patient could die. Colchester may have had a lot of bad publicity, but it does not shy away from criticism. The hospital website is constantly issuing news bulletins - both positive and negative - and its communications team tweet as @colchesternhsft. They appear willing to engage in direct message contact with patients who use Twitter. October 15: Health and Social Care Information Centre report shows that Colchester spends £14.03 per day feeding each patient, compared with a national average of £9.87. In 2008 the hospital spent £5.20. The Duchess of Cambridge wrote a letter of condolence to Mackenzie Cackett's family after his death last year. The family has complained about his treatment at Colchester hospital. Simon Brind went into Colchester General on July 31 2007 for a routine operation for sciatica. He died that night. An inquest in March 2011 was told that two screws inserted into his spine as part of the procedure had torn his main artery, causing his abdomen to fill with blood. Problems were noted at 8pm. The alarm was raised at 9.25pm and he was taken to theatre for emergency surgery. He died at 11pm. The hospital apologised to his family in February 2013, saying it was sorry it hadn't said 'sorry'. Dennis Bagley was admitted for an ankle operation in February 2009. Five days later he collapsed in the hospital bathroom and was given an ECG. He told his wife about it on the telephone and said the nurses had told him there was probably nothing to worry about. He died of a blood clot 11 hours later. His wife, Patricia, said she did not believe anyone had looked at the results of the ECG. The hospital apologised and paid a five-figure sum in compensation two years later. 'We apologise because we accept her mother was not treated with dignity and respect at all times. The trust is committed to providing excellent care for all patients, regardless of their age or condition, and expects all staff to be committed to achieving this goal.